The Chicago History Museum houses one of the nation’s premier historic clothing and fashion collections which includes over 50,000 artifacts dating from the 18th century to the present day. This Obscura Day tour, led by Petra Slinkard, Curator of Costumes and Jessica Pushor, Costumes Collection Manager, will give visitors an overview of the Chicago History Museum’s extensive couture holdings. 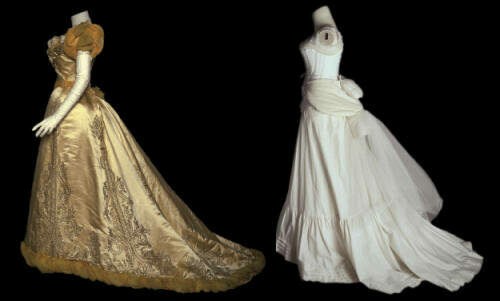 Works include garments by historical figures like Charles Frederick Worth to couturiers such as Gabrielle ‘Coco’ Chanel, Christian Dior, and Hubert du Givenchy. 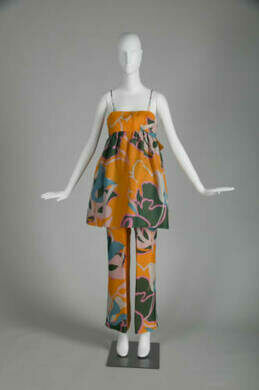 Other collection highlights include pieces from 20th century fashion designers such as Roy ‘Halston’ Frowick, Issey Miyake, Bill Blass, and Zandra Rhodes, as well as leading contemporary designers. Participants will get a unique behind-the-scenes look inside the costume storage area and an opportunity to view exceptional American and European fashion design up-close. 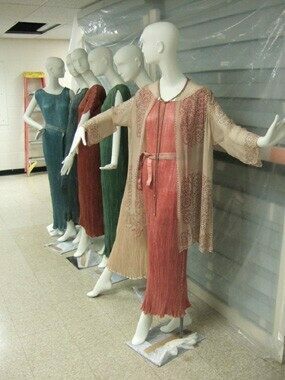 We'd like to offer a special thank you to the Chicago History Museum for permission to use these images. Chicago History Museum collects and preserves millions of artifacts, documents, and images to help us share Chicago’s stories and help you connect to the city and its history. The vast majority of the collection is not yet online, but through this portal you can access many of the most significant, exciting, and popular materials in the Museum's collection. Start your search of their online collection here. -Please meet inside the museum lobby and check in with Leyla Royale. -Street metered parking is available around the museum and at the Museum Parking lot located one block north of the Museum at Clark and LaSalle Streets; enter on Stockton Drive. It cost $9 with Museum validation; Visa, Mastercard, and Discover credit cards are accepted. -Check out the rest of the museum afterward for the low cost of $15.00 a ticket (general museum admission is not included in the tour cost) or use your membership from the the DuSable Museum, the National Museum of Mexican Art, or the National Museum of Puerto Rican Arts and Culture.